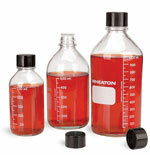 For more information on Glass Safety Coated Media Bottles w/ Screw Caps.. 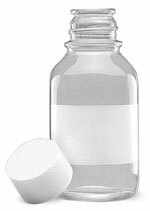 These clear glass graduated, safety-coated media bottles are ideal for storing fluids, dry chemicals and other materials in the lab. 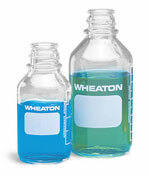 The strong, slip-resistant plastisol coating reduces potential breakage and helps protect lab personnel who are handling hazardous materials. The wide opening, special lip and sloping shoulders facilitate pouring and cleaning. 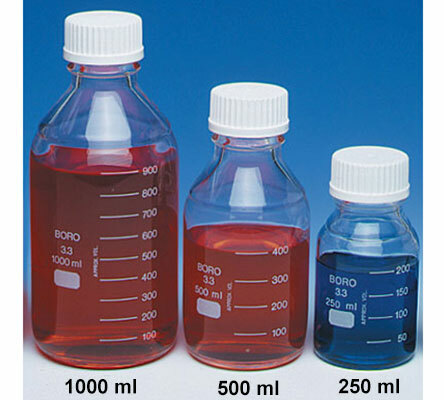 Fluids are protected because the glass has a low alkali content. 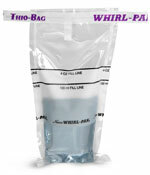 Each bottle comes with a white polypropylene screw cap with a wedge-shaped inner sealing ring and polypropylene pour ring. 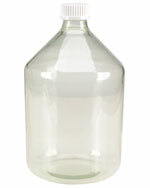 Lab 45 bottles are manufactured from borosilicate glass and are autoclavable.